What a hot mess both of these teams are. But the Bucs eventually have to win a game, don’t they? Last week was the nadir, losing to a Giants team that was winless at home. 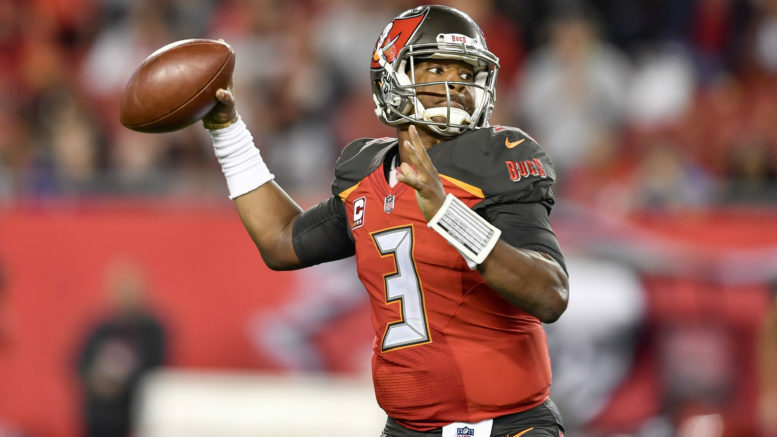 Jameis Winston needs to at least prove he can stay in this league, let alone be the QB of the future for the Bucs. The 49ers are in an abyss of their own and it really shouldn’t matter who starts at QB in this one. Pick: Buccaneers. The Patriots aren’t losing this one, but could the Jets give a spirited effort off a bye and prior to that a humiliating home loss to Buffalo? I think they can do just enough to lose by only single-digits, even as New England rights the ship off its bye. Pick: Jets. New York Giants… winning streak?! Yep, that’s right! Two straight for Big Blue and now a trip to Philly to take on a decimated Eagles team that left New Orleans with their tails between their legs. I expect the Eagles to get the season sweep, but it won’t be easy against the rejuvenated G-Men. With Philly scuffling to stop the run of late, Saquon Barkley will help New York keep this one close. Pick: Giants. Seattle is surprising people, although there’s nothing surprising about the greatness of Russell Wilson. The Panthers are 5-0 at home but have been really underwhelming the last two weeks and these teams seem so evenly matched that a three-point game seems fitting. Pick: Seahawks. The Ravens finally broke their losing skid last week and now get the red-hot, winners-of-one-straight Raiders in a must-win game on Sunday. I expect the Ravens to play more relaxed after getting a win against Cincy, and for the Raiders to go back into the tank after winning a rare game last Sunday in Arizona. The Ravens aren’t really a blow-em-out kind of team, but fortunately for them, the Raiders are a get-blown-out kind of team. Pick: Ravens. Danger: the Chargers are big favorites! But Arizona is so awful that I don’t think it matters. The Chargers need to erase the foul memories of choking away a 12-point lead to Denver last week and the Cardinals are the perfect patsy. L.A. doesn’t have a signature win yet and beating the Cards would be anything but. Still, at some point this team is going to win in a rout. Why not this one? Pick: Chargers. Like with Carolina, I’m not falling for the home team here. The Vikes have been underachieving as well, and I just feel like at some point the Packers have to break through on the road. Again, a three-point game seems about right. Pick: Packers. Be the first to comment on "Sunday Edition of Week 12 Picks: Turkey Comas"